First Street bridge and Austin at Sunrise 1. 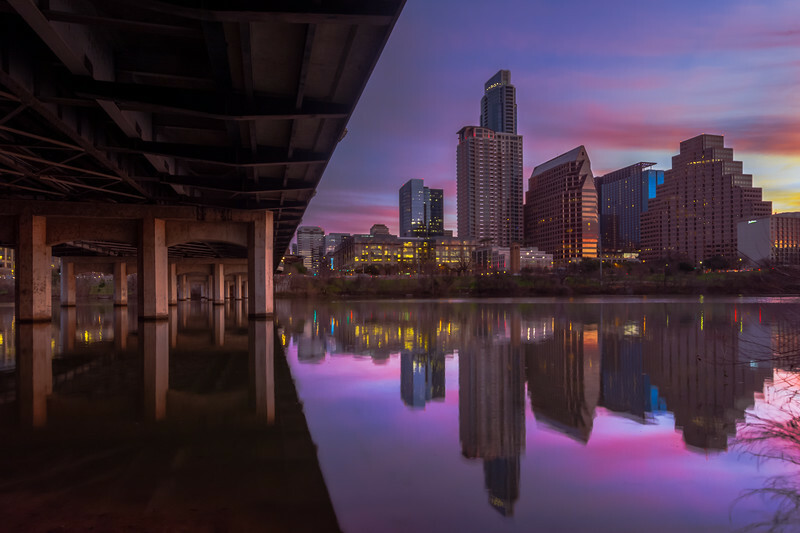 The first of two photos that I took underneath the First Street bridge, with the skyline of Austin Texas at pre-dawn. For me, I like the variety of colors being dispersed throughout the sky of the image, along with the mirror-like reflection of the skyline itself.